ENTER TO WIN a $300 Worldcare Travel Insurance voucher AND a $500 North Beach voucher towards your festival wardrobe! We’re celebrating the run up to the Northern Hemisphere festival season by offering you the chance to WIN a $500 North Beach voucher and a $300 @Worldcare Travel Insurance voucher. 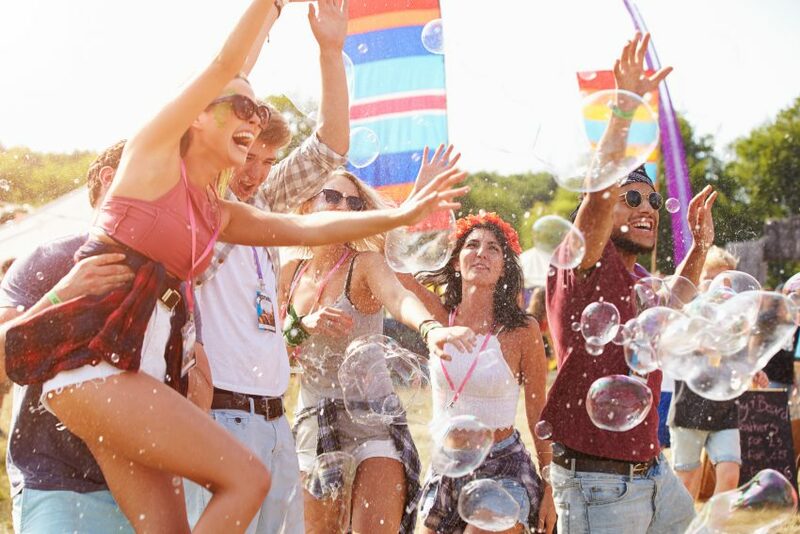 Whether it’s Coachella, Tomorrowland, Glastonbury or just your big OE adventure, you’ll be more prepared than ever. Post a photo of you and your friends with #WorldcareFestivalPosse2019 and #NorthBeachNZ. In case you miss out there are an additional FIVE $50 North Beach vouchers up for grabs. Entries will be judged by the Allianz Partners Marketing Manager and the winner will be selected based on creativity. This competition is open to residents of New Zealand, aged 18 years or over. Employees of the Promoter, its parent company, subsidiaries, affiliates or other parties, in any way involved in the development, production, or distribution of this competition, as well as the immediate family (spouse, parents, siblings, children) and household members of each such employee and/or authors, are not eligible to participate in the competition. Post a public photo of them with their friends on Instagram and include the hashtags #WorldcareFestivalPosse2019 and #NorthBeachNZ in the caption of the image. This competition will commence at 11:00 NZST on 1 April 2019 and all entries must be received by 11:00 NZST on 29 April 2019. Those terms can be found at: https://help.instagram.com/581066165581870. Proof of sending is not proof of receipt. Entries via agents or third parties are invalid. The major prize winner will receive one $300 Worldcare Travel Insurance voucher. The Worldcare Travel Insurance voucher must be redeemed in one transaction by the prize winner on a Worldcare Travel Insurance plan between 1 May 2019 and 31 October 2019. The prize winner will need to call Worldcare Travel Insurance on 0800 553 550 in order to apply for cover and redeem the Worldcare Travel Insurance voucher up to a value of $300. The voucher must be provided as evidence and no refund will be given if any policy purchased costs less than $300. The full Policy Wording and plan options are available here: https://www.worldcare.co.nz/PolicyWording.aspx. Policy terms, conditions, limits and exclusions apply. The prize of a $300 Worldcare Travel Insurance voucher can only be provided to the winner if they meet the eligibility criteria for cover. If the winner requires additional cover for specified high-value items and/or pre-existing medical conditions, these will be subject to underwriting assessment and additional premiums will be payable. card/voucher valued at $500. The North Beach gift card/voucher must be redeemed on product and not used to purchase another gift card/voucher. The card/voucher will have an expiry date of 12 months from the date of issue (29 April 2019). The North Beach gift card/voucher can be redeemed online or in-store. https://www.northbeach.co.nz/gift-cards. Full North Beach terms and conditions for online purchases are here: https://www.northbeach.co.nz/terms-of-use. Five consolation prize winners will also be selected. Each consolation prize winner will receive a $50 North Beach gift card/voucher. North Beach gift cards/vouchers cannot be bought using another gift card/voucher as payment. The cards/vouchers will have an expiry date of 12 months from the date of issue (29 April 2019). North Beach gift cards can be redeemed online or in-store. https://www.northbeach.co.nz/gift-cards. Full North Beach terms and conditions for online purchases are here: https://www.northbeach.co.nz/terms-of-use. Winners acknowledge that where applicable, prizes are subject to any terms and conditions of the company supplying the prize, and accept the prize subject to those terms and conditions and restrictions. Prizes are subject to availability. In the event of unforeseen circumstances such as the competition not being able to be run as planned, the Promoter reserves the right to substitute alternative prizes of equivalent or greater value. The winners will be notified via Instagram on 29 April 2019. The winners must claim their prize within 30 days of the Promoter sending a notification. If the prize is unclaimed after this time, it will lapse and the Promoter reserves the right to offer the unclaimed prize to a substitute winner selected in accordance with these terms and conditions. By entering this competition each entrant confirms that his/her entry is their wholly-owned creation and, to the extent that such entry makes use of any third party materials, that the entrant has the legal right or permission to use this unless they are no longer protected by copyright or other intellectual property rights. Entrants will keep the Promoter harmless from any claims in relation to their entry and are responsible for ensuring that the entry does not infringe the personal or proprietary right of any other person. By submitting an entry, each entrant grants to the Promoter a perpetual, royalty-free, non-exclusive license to edit, publish, translate, modify, adapt, make available and distribute the entry throughout the world in any media now known or hereafter invented. Each entrant undertakes to complete any necessary documentation to formalise the licence. If an entrant does not want to grant the Promotor these rights, please do not submit a competition entry. This competition is in no way sponsored, endorsed or administered by or associated with Instagram. You acknowledge that all information and material that you submit to enter this promotion is submitted to the Promoter and not Instagram and you agree that Instagram shall not be liable to you in any way in respect of this competition. The winners agree to take part in reasonable post-event publicity and to the use of their names and photographs in such publicity. If for any reason, the Promoter is not able to conduct the promotion as planned, including due to tampering, unauthorised intervention, fraud, infection by computer virus, any technical difficulties or any other causes beyond the Promoter’s control, which corrupt or affect the administration, security, fairness, integrity or proper conduct of this promotion, the Promoter reserves the right in its sole discretion to cancel, modify or suspend the competition. the Promoter will not be responsible for any incorrect, inaccurate or incomplete information communicated in the course of or in connection with the competition if the deficiency is due to any cause outside the reasonable control of the Promoter including without limitation technical malfunction or failure. The Promoter reserves the right to modify, suspend or discontinue the competition, in its sole discretion, at any time and without notice. The Promoter reserves the right in its sole discretion to disqualify any individual who the Promoter has reason to believe has breached any of these conditions, or engaged in any unlawful or other improper misconduct calculated to jeopardize the fair and proper conduct of the competition. The Promoter’s legal rights to recover damages or other compensation from such an individual are reserved. These terms and conditions are governed in accordance with the laws of New Zealand. The Promoter is AWP Services New Zealand Limited trading as Allianz Partners. Level 3, 1 ByronAvenue, Takapuna, Auckland, P O Box 33-313, Takapuna, Auckland 0622. Any enquiries about this competition are to be directed to sales@worldcare.co.nz.